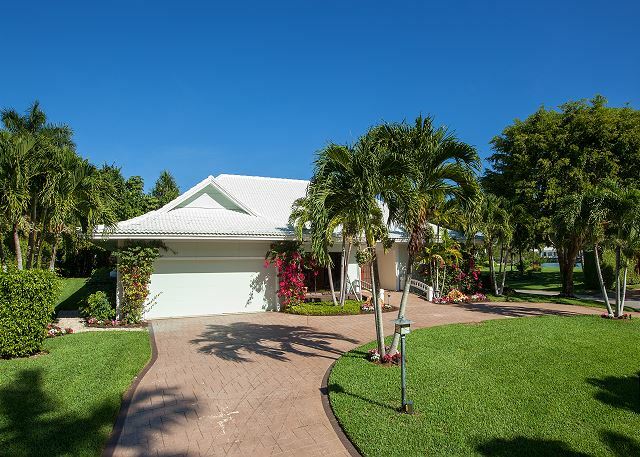 Experience the ultimate Naples lifestyle at Sabre Lane, a classically constructed Florida home in Port Royal, Naples’ most coveted community of single family residences. 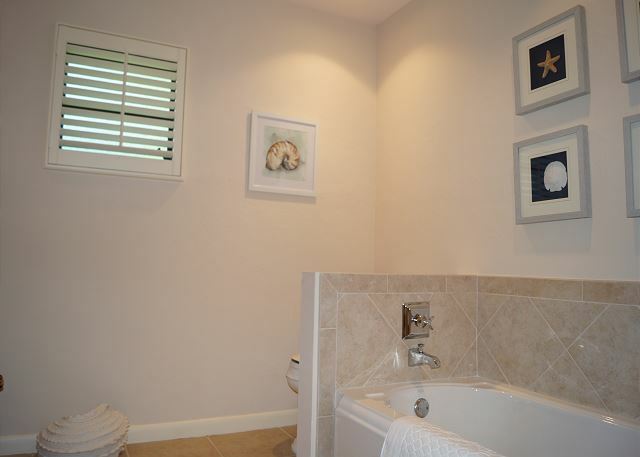 The spacious one story home is set on a large corner lot within the small enclave of Sabre Cay, located at the desirable south end of Port Royal. 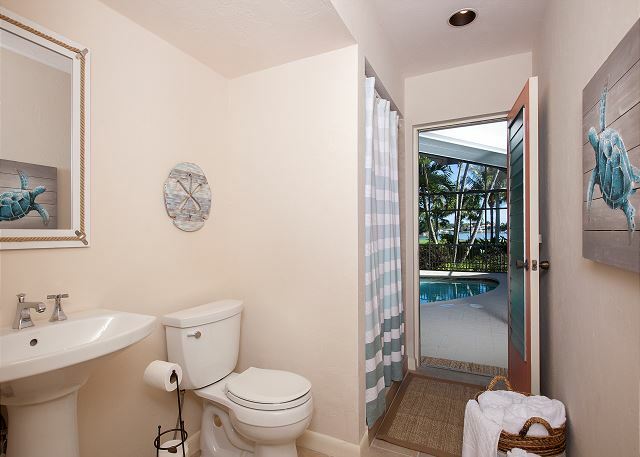 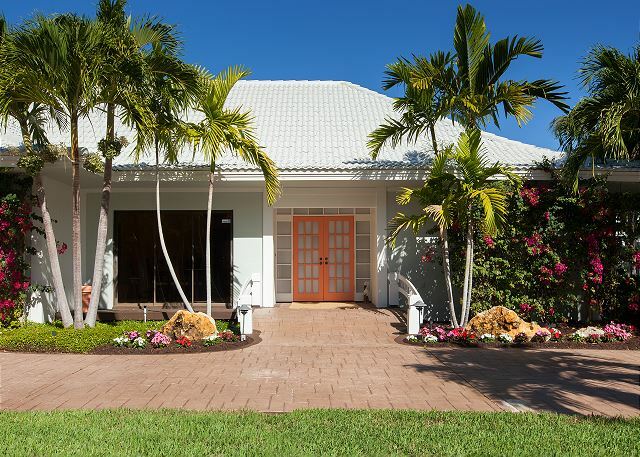 While the home itself isn’t located on a waterfront lot, almost the entire home and pool area feature gorgeous views of Doubloon Bay, located just across the landscaped lot across the street. 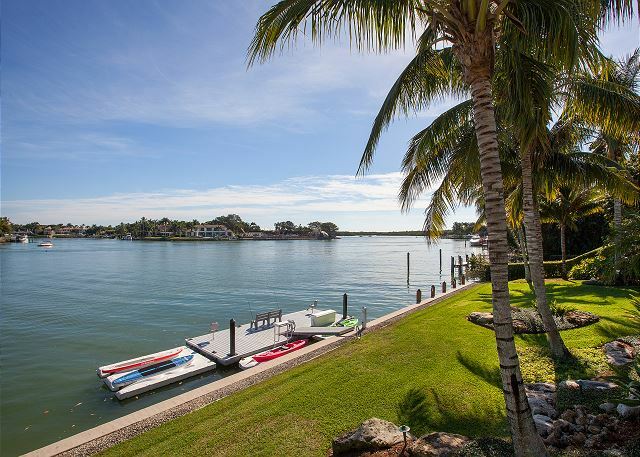 This lot is owned by the owners of Sabre Lane, so your rental comes with full use of this land for recreation as well as use of the gulf access dock space, complete with kayaks and paddle boards! 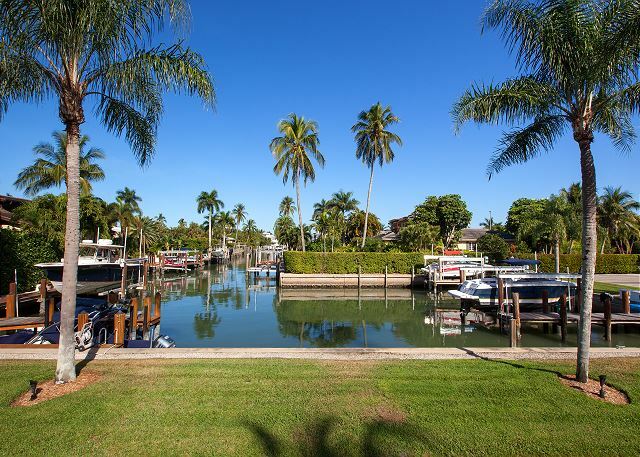 In addition to the fabulous gulf water access through the bay, the home is just steps to the beach through the private Sabre Cay beach access path located just across Gordon Drive. 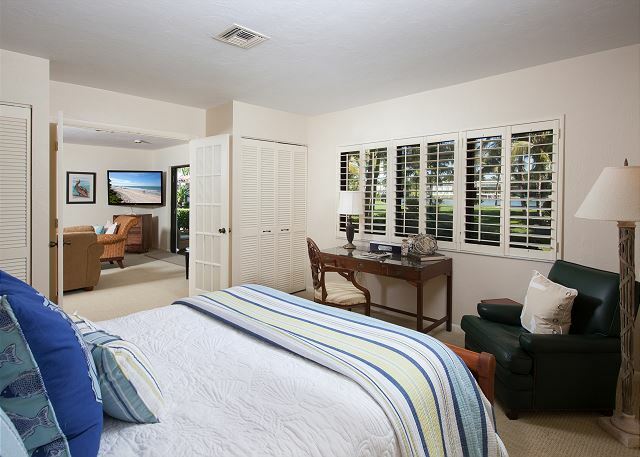 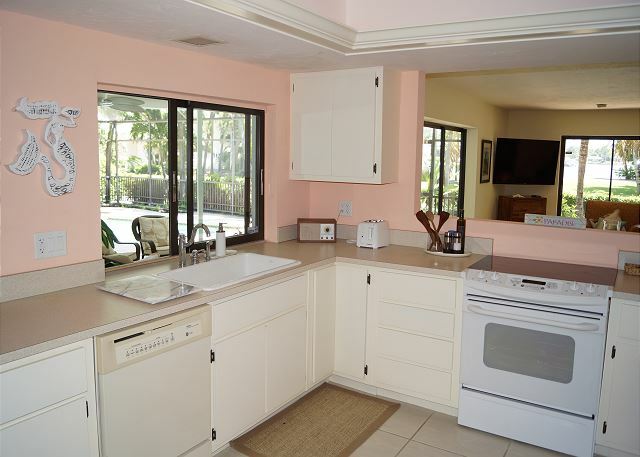 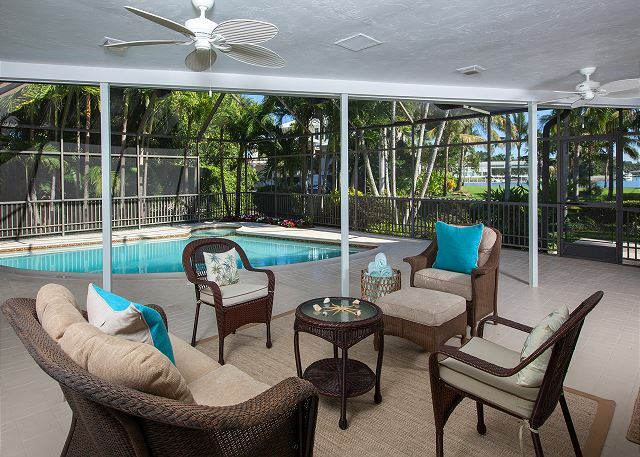 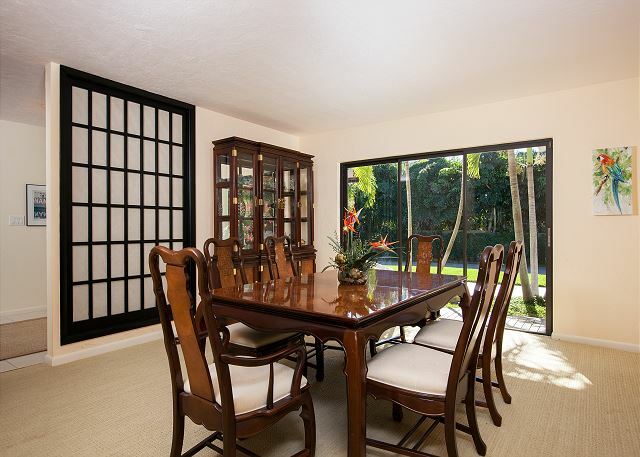 You truly have access to the best geography in Naples within steps of Sabre Lane’s front door! 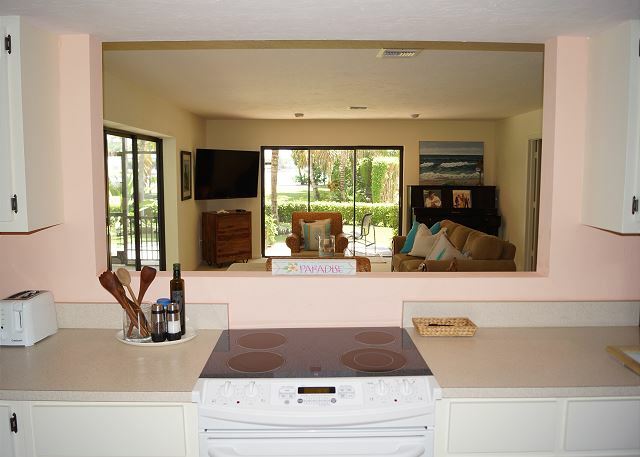 Inside the home, you will find a spacious layout centered around an open kitchen that connects the two main living areas. 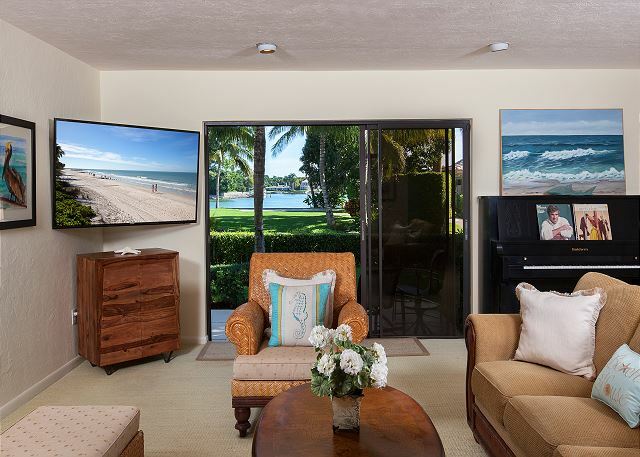 The front living room is a sitting area with large TV, comfortable sofa and chairs. 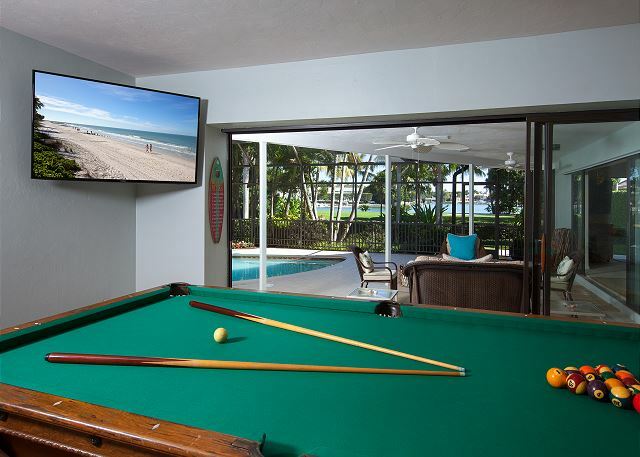 The den off the other side of the kitchen is the game room, with a pool table and seating around for hanging out and enjoying pool and water views. 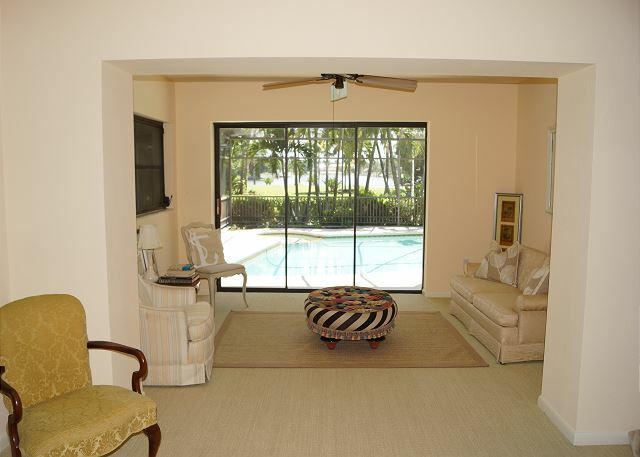 The swimming pool is heated for enjoying those beautiful Naples evenings as the cool breeze comes in off the bay. 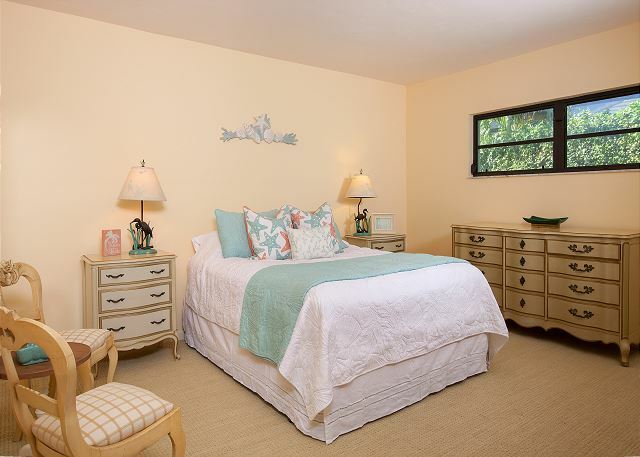 Three bedrooms sleep a total of 6 in beds, with ample space to accommodate up to 2 more people - inquire with us and arrangements can be made! 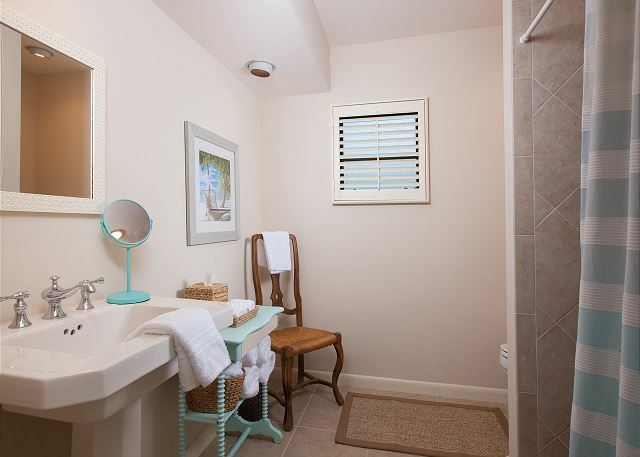 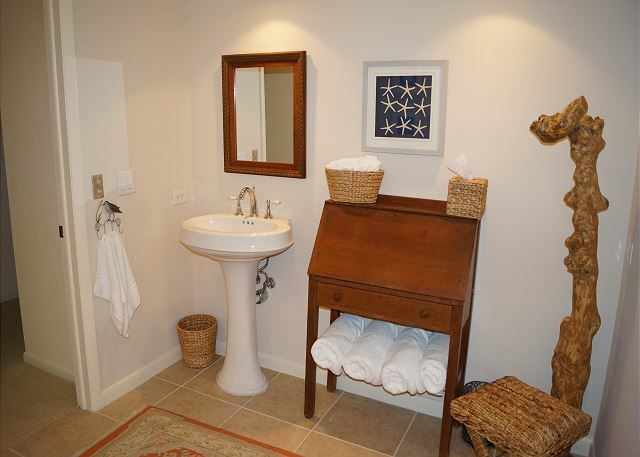 As with all rentals from The Holiday Life, the home comes equipped with WiFi, cable service, high quality white linens and a fully equipped kitchen. 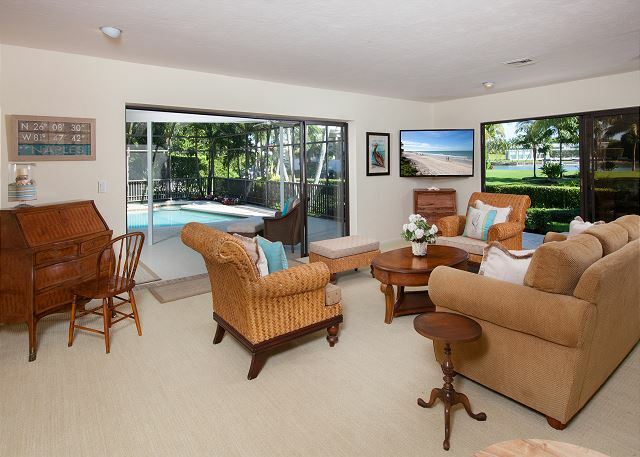 The ultimate Naples experience is waiting for you at Sabre Lane!